home / Multimedia / The Holy Land in news / Story of the JACC, the centre supporting African refugees in .. In Israel there is a refugee “emergency” as well. It’s different from the one Europe is facing, of course, but significant. The largest waves of migration began at the end of the nineties and early 2000 due to the Eritrean independence on one side and the start of the dictatorial and military regime of Isaias Afewerki, on the other by the outbreak of the Darfur conflict, the region west of Sudan and ceased after ten years. Almost all the refugees in Israel, in fact, came from Sudan, Eritrea and Ethiopia and came through a long and dangerous journey through Egypt and Sinai. Since 2013, with the construction of a barrier to protect the border between Israel and Egypt, migration has been drastically interrupted. Today there are about 40,000 people in Israel that come from these conflict zones. Generally, for those who come from war-torn and conflict states, asylum procedures are quicker and have a positive outcome, but in all these years, only a dozen people have been granted asylum in Israel. The overwhelming majority remain on Israeli soil illegally, with temporary permits. The activities of the JACC Association (Jerusalem African Community Center) aim at creating the conditions necessary to improve the quality of life of African refugees in Jerusalem. To date, in the Holy City there are about 3500 refugees and asylum seekers and JACC is the only organization in the city equipped to meet the needs of the community. Given the precarious condition, most of the refugees have limited employment opportunities and very often they are humble and underpaid jobs, connected to difficulties in finding a suitable housing place and very often they are denied access to appropriate medical care and welfare. The NGO was founded in 2014 on the roots of a popular initiative started in 2007 by a group of volunteers and since its inception, the association has had the support and support of the Franciscan Friars. 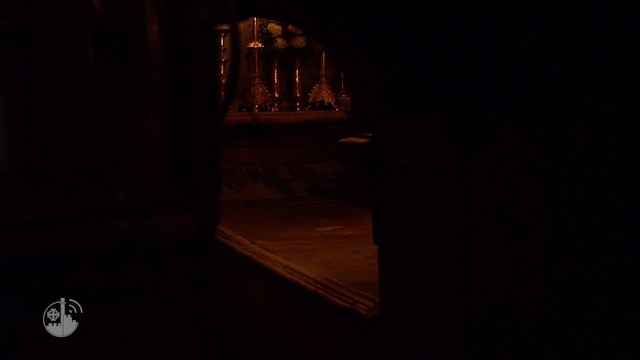 The then Custodian, Father Pierbattista Pizzaballa, saw in the good intention of the project the Franciscan mission to help all Christians in the Holy Land. Last year the then Custos, Father Francesco Patton asked ATS pro Terra Sancta to engage in this project, helping JACC, together with the Custody of the Holy Land, in the development of their activities. The center provides legal, medical and employment assistance. There is a psychological support program run by students of social studies supervised by a professional social worker to provide emotional, psychological and social support to families. In particular, support is given to single mothers and women survivors of sexual violence and torture who have suffered along the route before arriving in Israel. Another very important item among the activities of the center is the educational aspect. The JACC director, Josie Mendelson, believes in the role of education to improve the condition of the community within Israeli society. “We have implemented an academic tutoring program that takes place at JACC headquarters three times a week. The boys are helped out with homework, in the study of languages ​​and other school subjects. Children are also given a substantial and balanced meal and a snack. We organize courses in English, Hebrew, Tigrinya (the mother tongue of Eritrea), computers for children and adults to promote communication between parents and children, always difficult in a context of migration “. We went to meet the JACC children and volunteers during the after-school activities and all the children welcomed us with exuberance and joy, eager to show us their progress. “We are very happy with the results we are achieving”, instructors and volunteers tell us “the kids that participate in our courses have improved at school and are able to communicate better with their teachers and peers”. 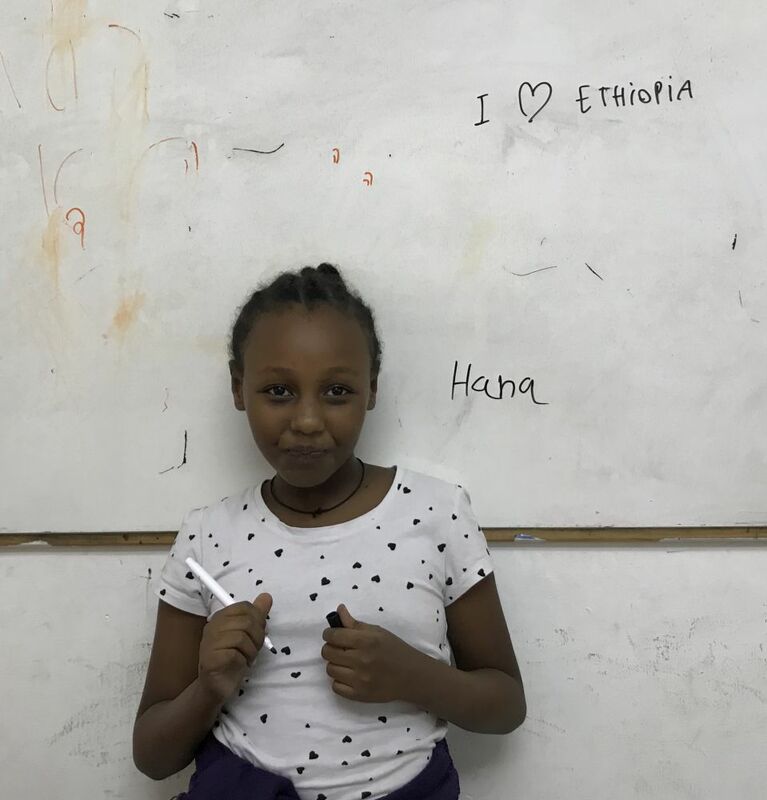 Senait, an eleven-year-old Ethiopian girl, with a little shyness, confesses: “I like Jerusalem, but Adiss Abeba …” Her words give voice to the dreams of many people in the community who wish one day to return to their countries when peace returns and their lives will no longer be at risk.